Thermometric titration shares with potentiometric titration the use of a sensor to detect the endpoint of the titration reaction. In the case of thermometric titration, however, the sensor is a fast responding thermometer. Hence, instead of measuring the electrochemical potential in the solution, this robust, highly sensitive thermometer tracks the reaction enthalpy, ie the temperature change in the solution. As for sample preparation, users only need to ensure that the matrix does not prevent the analyte from reacting with the titrant and that the sample is sufficiently mobile. Accurate results are available in less than two minutes. 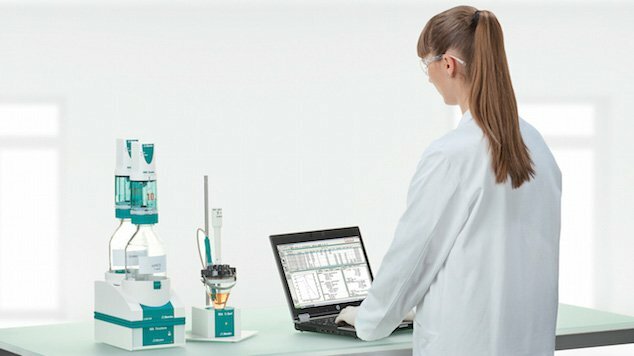 Metrohm provides the 859 Titrotherm with tiamo software for thermometric titrations, a total solution that can easily be automated by integrating an autosampler.